Custom flights on your schedule. 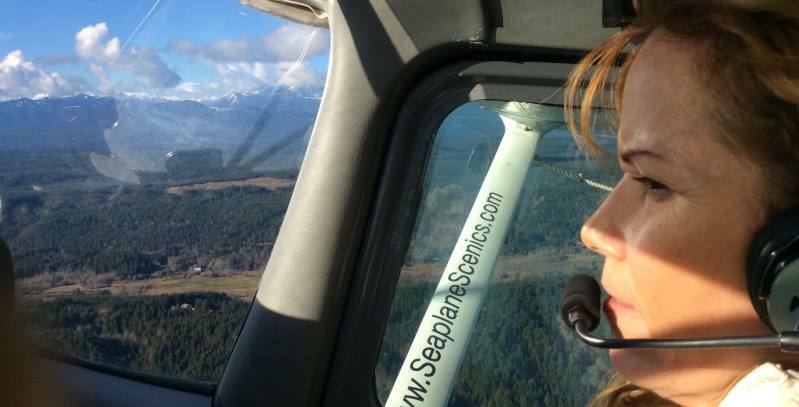 Seaplane Scenics destination flights to the San Jaun Islands, , Puget Sound Area, Canada or East to endless destination of Idaho or even Montana. Flight time is $595.00 per hour and wait time is $125.00. You can to be dropped off and picked up later or have your personal pilot and seaplane wait for you. Mountain tours showcasing Mt Rainier, Mt St. Helens or the Olympic Mountains are just a few of our favorites. Seeing Glaciers, volcanic craters, and Pacific Northwest forests and coast line from a seaplane are assured to create memories beyond compare. Explore Puget Sound and San Juan Islands. There are hundreds of miles of ocean adventure stretching from Olympia to Sucia Island or down the Pacific coast of Washington and Oregon. Let your imagination chart the course. Seaplane Scenics will show you what you want to see with pilot narration and state of art noise canceling headsets. Departing Carillon Point in Kirkland or Wiley Post Seaplane Base in Renton, the sightseeing begins at the dock and only gets better as you fly to the San Juan Islands to meet your whale watching tour guides. Choose to see the migrating Humpback and Grey whales, or resident Orca pods from a ship or kayak. Let your sense of adventure dictate. Seaplane Scenics can show you resort or remote locations for breakfast, lunch or dinner flights. Bring your own picnic, have a catered meal, or reservations at one of the many resorts. These flights are great for groups or romantic adventures.